The latrine sits on the west rim of the ridge between Keesey and Hospital Canyons. This view of the structure shows the masonry skills that the enrollees developed under instruction of LEMs (local experienced men) and other supervisors. 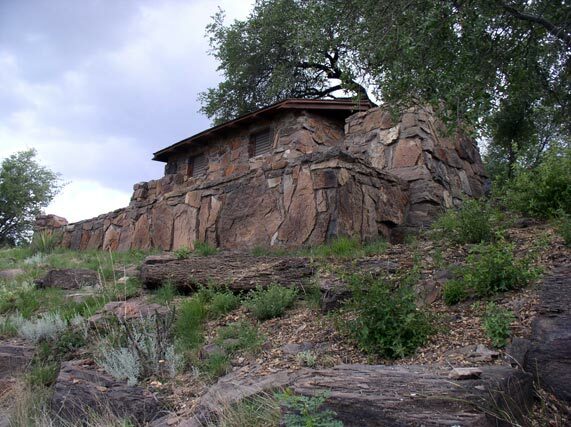 Even modest buildings in relatively remote areas of the park received a great deal of the CCC's workers' labor.